With the 2018 Winter Olympics having come to an end, the world will have to wait another four years before the celebrated torch is relit once again in Beijing 2022. While the flame has been extinguished for now, the Olympic spirit still shines with Canada having won more medals than it had in any other Winter Olympics! This year, the efforts of Team Canada were nothing short of inspiring as the whole country gathered to support its athletes in bringing home the Gold. 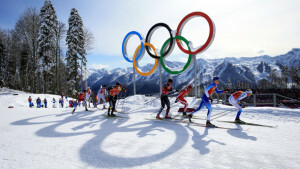 While tuning into the Olympics, was there not a time when you dreamed about being an Olympian? It’s hard not to imagine yourself cruising through the halfpipe, competing against the hockey greats or soaring through the air on the ski jump, but the better question is, why not try for yourself? No matter where you are in life or how fit you are, it can never hurt to try something new! Here are 5 places in Toronto to jump start that Olympic career! Earl Bales Park – 4169 Bathurst St. While many of the larger, more challenging ski slopes can be found further north in places like Barrie and Collingwood, Toronto itself is home to a few surprises. 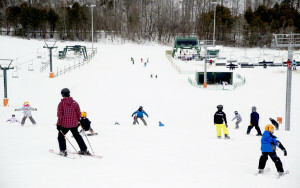 Earl Bales Park, located near Bathurst and Sheppard West, is home to a small ski hill called the North York Ski Centre. In spite of its relatively small size, the hill boasts three intermediate slopes and one beginner slope that’s accessible by a quad chair ski lift and a rope tow. The park routinely offers lessons during the winter season and is perfect for beginners who want to learn how to ski and snowboard. You won’t find any halfpipes or ski jumps there, but it’s an excellent place for those new to the downhill scene. Even champions have to start somewhere! Canlan Ice Sports – York – 989 Murray Ross Pkwy. For aspiring hockey stars and figure skaters, Canlan Ice Sports provides some of the best skating facilities in the country. While it has a number of skating rinks around Canada and the US, Canlan has an Olympic-sized arena located right on the campus grounds of York University. With over 1200 seats, it’s no surprise that the arena has been host to games played by both the Men’s and Women’s national hockey teams. On top of that, it’s also home to The Lions, York University’s varsity hockey team! 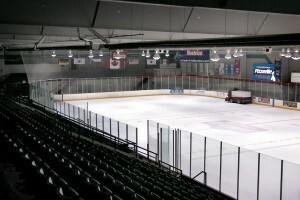 Despite being a host to major players, the York arena also accommodates private events, as well as year-round training lessons for hockey and skating. Fans of bobsleigh, luge and skeleton might be a little disappointed, since these sliding sports require expensive equipment and large, high tech track facilities, the latter of which Toronto doesn’t have. However, these activities require exceptional strength, superior reflexes and a high tolerance for mind-numbing velocities, all of which can be trained and developed. 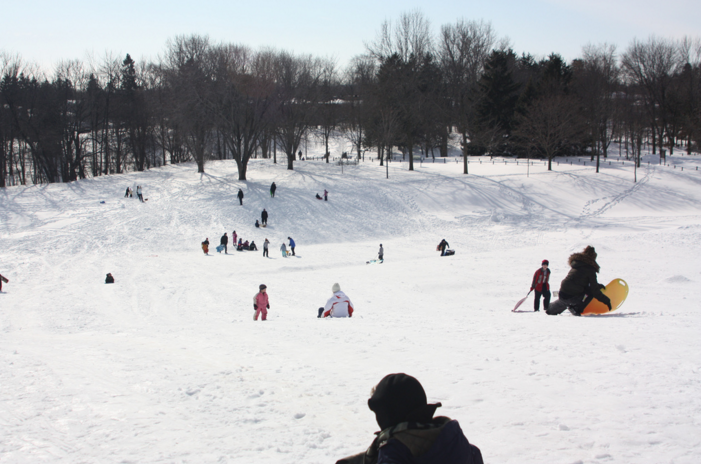 Before you jump onto the track, it might be a good idea to get a small taste of it at one of Trinity Bellwoods Park’s tobogganing hills. With its hilly landscape, the park is a prime place for sleds and some good old fashioned fun. Cross country skiers don’t have to travel way up north when it comes to finding a decent trail. High Park has a hilly terrain that can prove to be fun, yet quite challenging. Skiers are permitted to go virtually anywhere in the 400 acres of park space and admission is totally free! The bad news? The trails aren’t always maintained and you’ll have to provide your own equipment, so make sure you go with a more experienced friend! Target Sports Canada – 14 Stalwart Industrial Dr.
Canada rarely medals in Biathlon, a sport that tests the limits of one’s physical endurance in cross-country skiing and one’s sharpshooting accuracy at the rifle range. That’s all the more reason to pick up this sport! 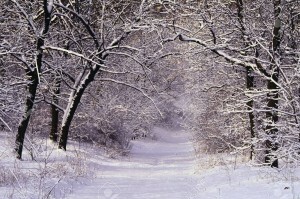 While there is no shortage of cross-country paths in Toronto to build your endurance, rifle ranges are a little rarer. 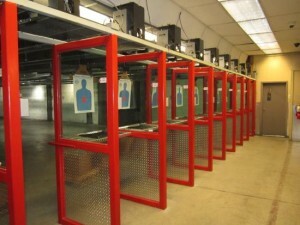 However, Target Sports Canada in Gormley provides a large range for both pistols and rifles. New and experienced users are both welcome as a gun license isn’t a requirement to shoot at Target Sports. For new users, the range makes safety and precaution a top priority and regularly hosts courses for shooting and basic firearms handling. If you’re in the mood to try something a little daring, this is the place for you!